1) RCAHMS Argyll Vol 5, No 367 (15). Rectangular slab. At foot is galley with spread sail facing left. 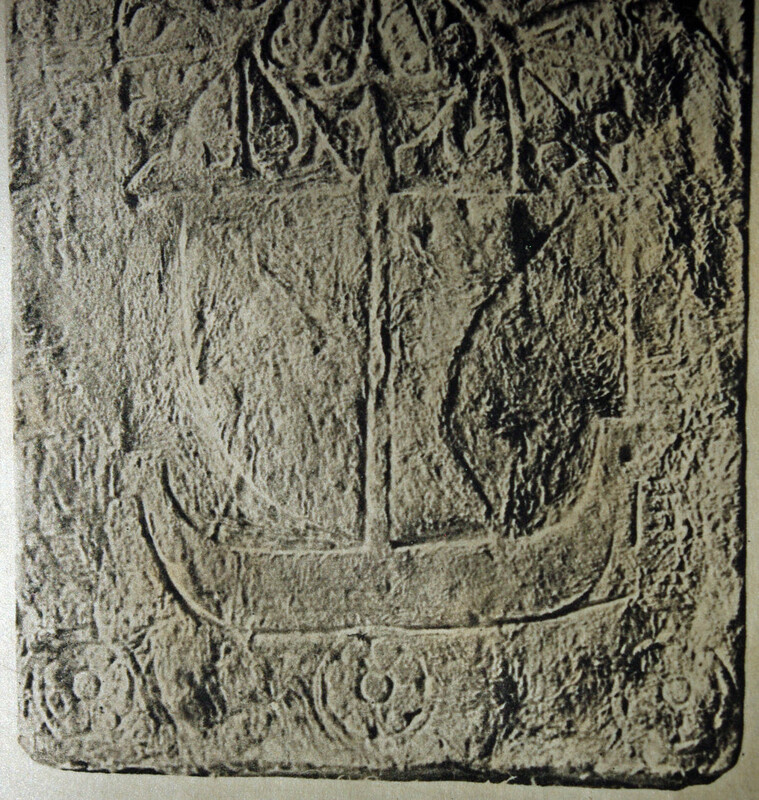 See also Steer and Bannerman, No 53; Glasgow Art Gallery and Museum cast No 185; Graham, Carved Stones of Islay, Pl. XXIX, No 101. RCAHMS dates c. 1500-1560. 2) RCAHMS Argyll Vol 5, No 367 (21). Rectangular slab. At foot is galley hull facing right but the prow section is broken off. Strakes indicated by lines. 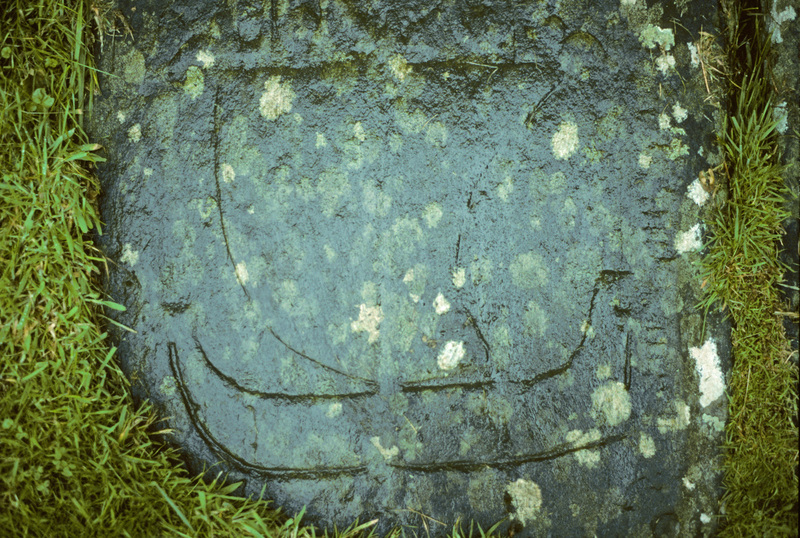 See also Steer and Bannerman, No 52; Graham, Carved Stones of Islay, Pl. XXVIII, No 90. RCAHMS dates c. 1500-1560. The RCAHMS illustration shows the galley but the Graham plate is truncated at the foot.